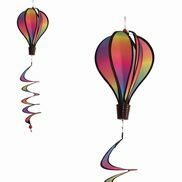 The Journey On Outdoor Flag will fill you with wonder! 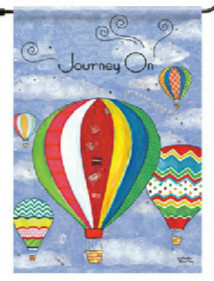 These colorful hot air balloons by Wendy Bentley will inspire you to “Journey On” and live life to the fullest. Add color and vibrancy to your garden or backyard! Outdoor flags are made of all-weather polyester and resistant to fading and mildew.